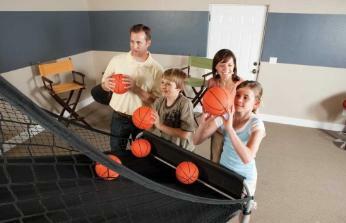 other Sports Theme Games for Your Event. 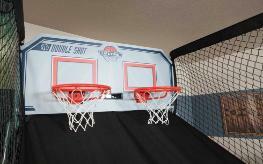 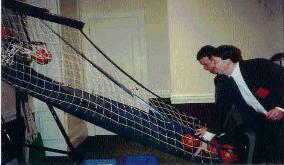 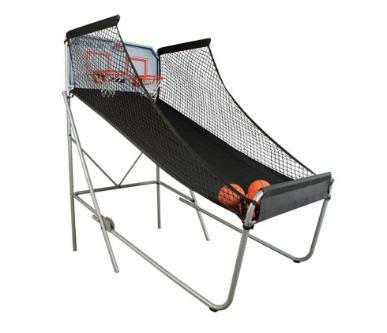 Rent a Double Shot Basketball Pop A Shot Basketball Game for your party or event. 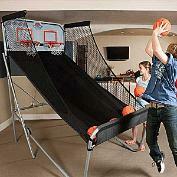 is self standing, with 2 miniature hoops, using mini basketballs, and has timed scoring for 2 people to play at one time.